Conveniently sized, lightweight, and portable, box cutting knives are one of the most common cutting tools found in the home or on the job.  Many consider the box cutting knife one of the necessities for a perfect toolbox. They're often the go-to for opening packages, slicing up cardboard, and trimming various tough materials. As the name implies, a box cutting knife is great for getting into boxes, so anywhere that receives deliveries is going to need some on hand. Medical and health facilities, grocery stores, stock rooms, warehouses, schools, and retail stores consistently rely on these tools. 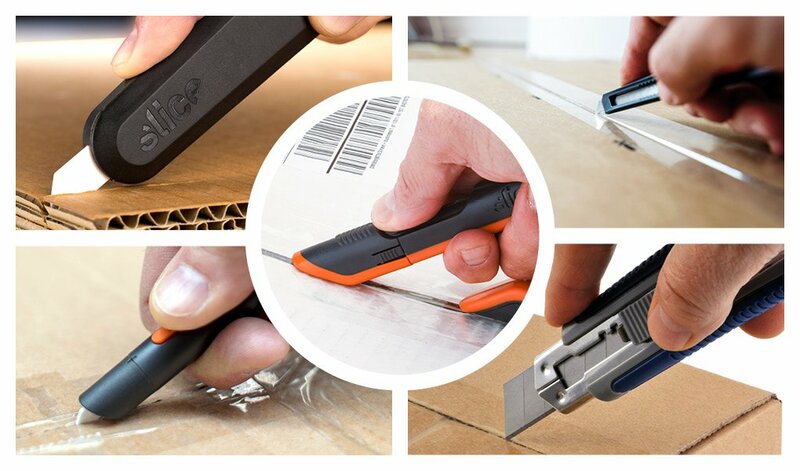 A box cutter is also useful for tasks like getting through the tough shell packaging that ink cartridges come in to cutting flexible plastic materials and all of those cardboard boxes you opened with it. There many different types of box cutters, so take the time to choose the one that best fits your needs. Assess the overall quality. High-quality tools last longer and reduce chances of injury because they’re less prone to break and more likely to hold the blade firmly in place. Is the design ergonomic? An ergonomically designed tool will fit naturally in your hand, making it comfortable to use. This is another injury-reduction measure, as a firm, natural grip reduces the possibility of slippage. An ergonomic design also reduces muscle fatigue. This is especially important for people who use their box cutter very regularly. There are a variety of box cutter handle types, the most common of which are manual and auto-retractable. The former has a slider with a button. Recess and move the button to expose or retract the blade. The blade remains in a fixed position until you use the slider again to move it. An auto-retractable mechanism requires that you keep your thumb on the slider button to hold the blade in the exposed position. Take your thumb off the button and the blade automatically retracts into the handle. Also consider a safety box cutter, which is designed to reduce possibilities of injury. This is important because, first, cuts hurt! Also, there is a substantial cost to not using safety knives. OSHA estimates that a single worker laceration costs a company $41,000 on average. Slice box cutters have safety as the number one driving force of their design. They offer quality, durable construction, and a unique J-hook ergonomic handle. In addition to offering both manual and auto-retracting versions, Slice also has a smart-retracting model: it retracts when the blade loses contact with the material it’s cutting, even if the user still has the slider button engaged. Like all Slice tools, the box cutters feature a ceramic blade with the proprietary finger-friendly® grind; that is, it’s safe to the touch. And Slice blades last up to 11 times longer than their metal counterparts. Just as there are screwdriver tips and drill bits tailored to certain uses, there are different cutting tools for different purposes. It’s always important to use the right tool for the job. A close companion of the box cutter is the utility knife. In fact, some people use the same name for both, but they do differ. Box cutters are used for long, straight cuts that are shallow. Utility knives tend to be beefier and cut through thicker materials. Whatever option you are using, always make sure you’re taking the utmost care. Lacerations are a common injury in the home and are among the three most common workplace injuries. As when you use any cutting tool, there are key precautions to keep in mind every time you use a box cutter. OSHA reports that approximately 10 percent of injuries in the poultry processing industry are from lacerations and cuts, partly due to improper blades, lack of PPE, or incorrect handling. All of these causes are avoidable, but users must be diligent at all times. While your safety is paramount, it’s important to consider the safety of the items in any box you’re cutting into. Traditional box cutters, which feature a one-inch-long blade, will get through cardboard, sure, but they can also go right on through to what’s inside. What a bummer to ruin the item you ordered before it’s even out of the box! This video demonstrates how the Slice box cutter is designed specifically to cut only through single- or double-walled cardboard, but no more. There are always packing materials and craft projects that require a good cutting tool. With the right box cutting knives in your personal or professional stock, you're ready for whatever cuts you need to make.